John Francis died of Acute Coronary Thrombosis due to Coronary Artery Arteriosclerosis. [S271] Manitoba Birth Indexes, Registration no: 1896,004250. 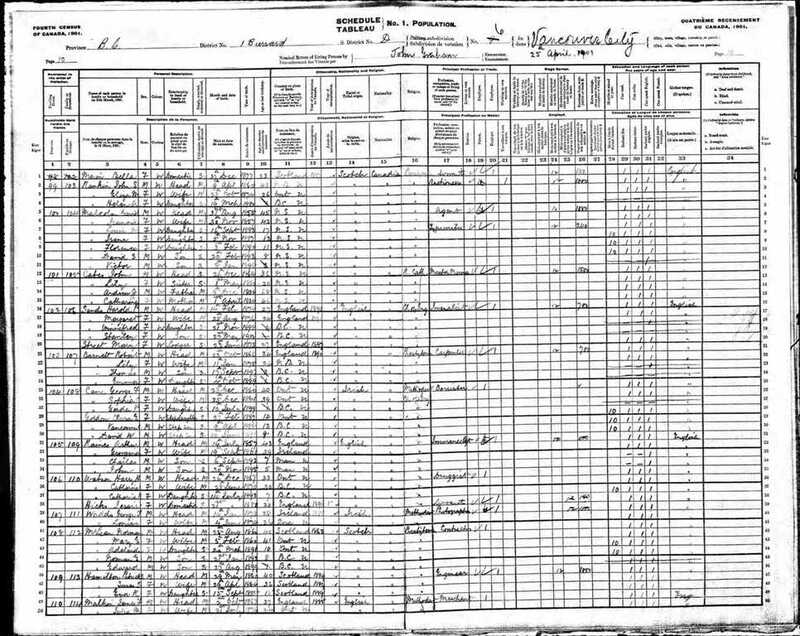 [S443] 1901 Canadian Census, (Ancestry.com), RG31., RG31 Roll: 128857 Page: 10 ED: Burrard Microfilm: T-6428 (Reliability: 2). [S27] 1921 Canadian Census, (Ancestry.com), RG31., RG13 Page: 3 Folder: 14 (Reliability: 2). [s22] Family Search, (www.familysearch.org), "British Columbia Death Registrations, 1872-1986," index and images, FamilySearch (https://familysearch.org/pal:/MM9.3.1/TH-267-12159-48849-75?cc=1538285 : accessed 14 May 2014), 004479348 > image 2889 of 3303; citing Division of Vital Statistics, Victoria. [S272] Manitoba Marriages, Registration No: 1891-001787.